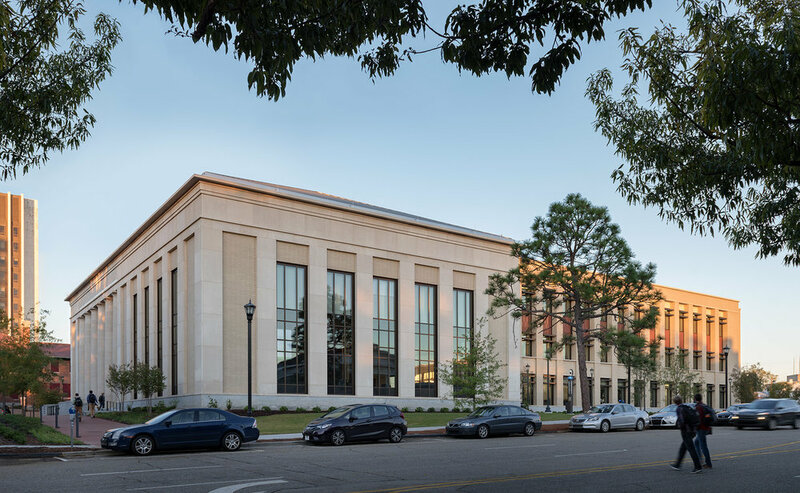 The new 187,500 SF School of Law for the University of South Carolina is a focal point for the legal community in the state as a home for legal research, continuing education and public outreach. The multi-story, state-of-the-art law library is highlighted by a signature reading room overlooking the courtyard. With sophisticated technology, the auditorium, classrooms and event spaces will serve the needs of the students, faculty, alumni and community well into the future. The School of Law complex encompasses an entire city block in downtown Columbia.